There’ve been a couple of snafus with the latest Overwatch PTR. First Blizzard sent out a press release saying that the Rialto map was out hours before it actually was. (Yeah, that one got us too.) 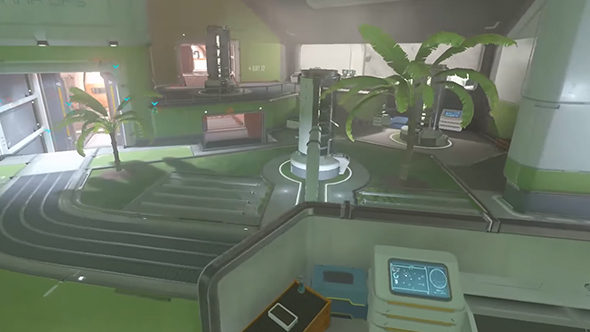 Then once the update actually went up, players discovered a much different version of the Horizon Lunar Colony map. Check out what else is on the PTR with the Overwatch v1.23 patch notes. Horizon’s getting reworked, but it wasn’t supposed to go live yet. Nonetheless, you can get a preview of what to expect if you hit the map on the PTR, though with the premature addition it has been removed as an option in custom games. You can also get a much better look with the flythrough above. The moon map has been a problem child in Overwatch for some time, with a fairly heavy favour toward attackers – 54.50% – that puts it well out of balance with the other maps. At least, those were the stats when Jeff Kaplan shared them last year.